I'm only about 40% of the way to conquering all the sushi restaurants in Greater Vancouver, but there are some areas in which I've pretty much been to all the major sushi restaurants. Richmond is one of those areas. Unfortunately, a large majority of Greater Vancouver's escape game rooms seem to be located in Richmond. Tamsen and I were on a roll with our successful escapes, and we weren't going to let the trend stop. Once again, we did our usual routine: start the day with sushi, bubble tea our hearts out, solve a few escape rooms, and then stuff ourselves with dessert. I always feel "great" and "healthy" at the end of it all. Things started off wonderfully as I arrived way too early and Tamsen had difficulties getting a ride on time. Snapchat was the only thing that prevented my fingers from turning into icicles. Going inside before noon, we found that there were already a good number of diners inside. The menu was quite extensive and featured many special rolls and Aburi sushi (seared sushi) options. Of course, I wasn't going to pass on the Aburi sushi. We started off with a four-piece order of Tuna and Salmon Sashimi. The Tuna Sashimi was not particularly soft and tasted rather fishy. 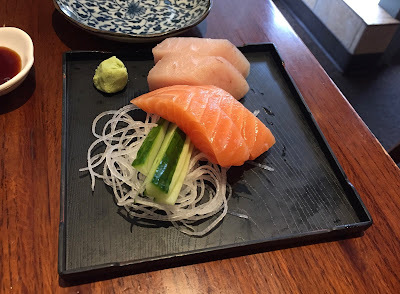 However, the Salmon Sashimi was served at a nice, cool temperature and had a fresh, buttery flavour. While we were trying to select a special roll, a typo on the menu caught our attention, which led us to ordering the Ichi Roll. 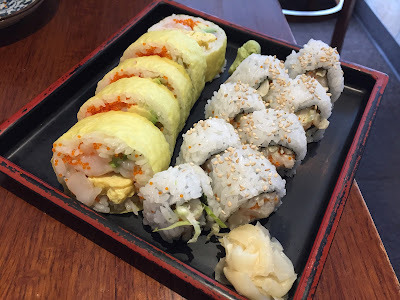 They had called it the "Ich Roll" on the menu, and we deliberated over whether the roll would make us itch in some way until we discovered the typo. 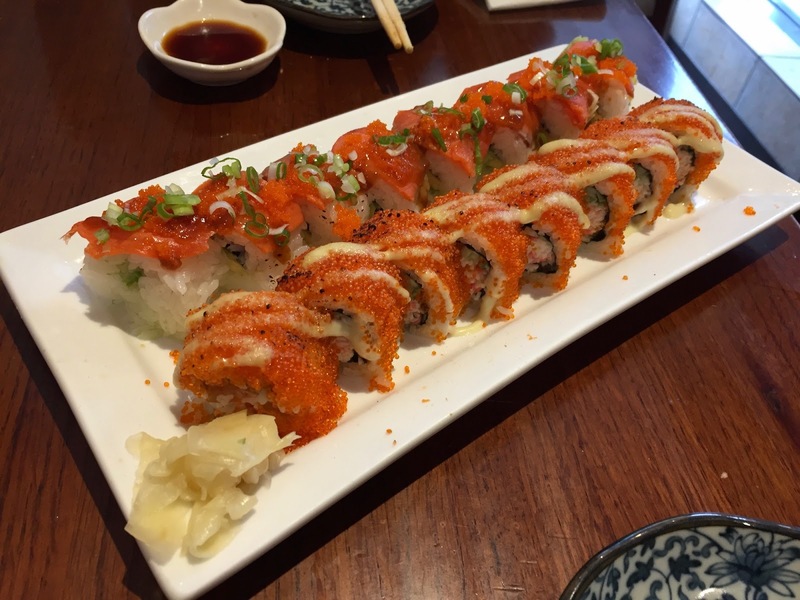 The Ichi Roll came with fresh crab, scallop, tamago, amaebi (sweet shrimp), tobiko, and avocado. The soy wrapper was very thin, and its sole purpose seemed to be to hold the roll together. The sweet tamago overpowered pretty much all the seafood inside the roll. With the Chopped Scallop Roll, there wasn't enough scallop inside to give the roll a well-rounded sweet flavour. The scallop was overshadowed by the strong, nutty flavour of the sesame seeds on top. Finally, we had two items from the Aburi page. The Aburi Smoked Salmon Oshi was surprisingly cheap (at just $6.50 for 8 pieces), but my soul died a little when I brought it to my mouth. There was virtually no seared flavour, and the smoked salmon tasted quite salty. It essentially tasted like an Alaska roll with a quarter of the avocado, double the rice, and salt as the garnish of choice instead of an appropriate sauce or vinaigrette. The Kaede Roll (with salmon, crab, ikura, cucumber, tobiko, and house sauce) was an attempt to imitate the signature Miku Roll at Miku. This fared much better than the Aburi Smoked Salmon Oshi. Here, there was a nice smoky flavour, along with lots of crunchy tobiko and some sweet imitation crab. The creamy sauce rounded off the flavours well, and I wished there was a little more of it. The restaurant got slightly busy as peak lunch hours came around, but the service remained reasonably attentive throughout our visit. 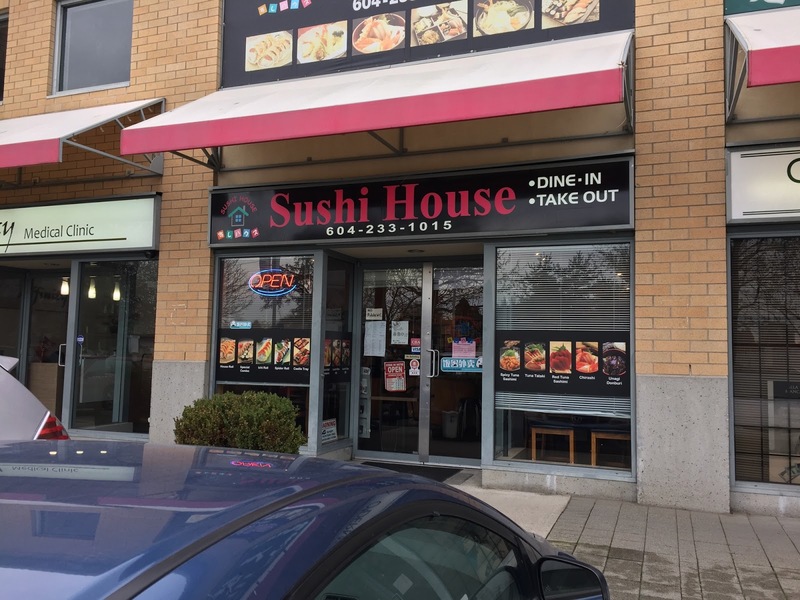 The food we had was largely hit-and-miss, and it seems that the cheap prices are what attracts customers to this restaurant.